Last week we talked about how serverless was starting to gain quite a bit of momentum with things like the announcement of more tools and conferences. However, my attendance at the ServerlessNYC conference was a bit of an eye-opener for me. I spoke with a lot of people about a “serverless bubble” (although echo chamber is probably a better way to describe it). I knew that the serverless community was still relatively small, but have we gotten to the point where we’re just feeding the community and not doing enough to expand it? 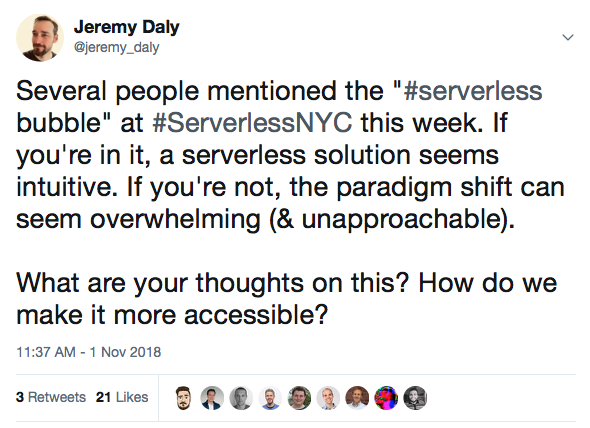 I posted this tweet a couple of days after the ServerlessNYC conference and I got quite a bit of feedback. There were several people pushing back on the idea, but I think many of those who did are in the “serverless echo chamber” themselves. There was a lot of discussion here that needs to be boiled down and researched a bit more, but I think it is clear that there are a number of factors that are hampering serverless adoption. I’d love to know your thoughts on this, so please weigh-in on the Twitter thread, or send me a note. It really was a great event. But cheer up, my friend, there’s no need for #FOMO. I’ve put together a recap of the event with all the key takeaways and lessons learned. TLDR; Kelsey Hightower made you rethink the barriers to serverless adoption, Jason Katzer told us that unlimited still has limits, Gwen Shapira gave us new ways to think about serverless data flow, Ben Kehoe made us adopt a new serverless native mindset, Tyler Love showed us that serverless can easily handle billions of requests, Chase Douglas filled some gaps for us in the serverless development lifecycle, and an open source serverless panel told us we need to work on standardization. Epsagon recently launched their distributed tracing product for serverless applications, and decided to kick it off with a star-studded webinar (plus me 🤣). But seriously, Shannon, Nitzan and Ran are doing some great things around serverless observability. This discussion, with insights from Yan Cui and Corey Quinn, was really interesting. You can watch, listen, or read it here. 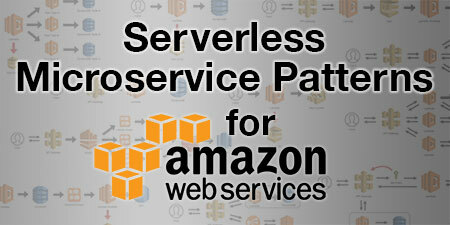 Speaking of webinars, Forrest Brazeal is hosting an AWS Online Tech Talk called Serverless Workflows for the Enterpise on November 14, 2018 at 12pm ET. This will focus on how to seamlessly build and deploy serverless applications across multiple teams in large organizations. Should be a great intro for enterprises looking to adopt serverless. Finally, security tends to be a sticking point (especially with SysAdmins) when it comes to adopting serverless (and the cloud in general). Luckily for us, Ory Segal at PureSec has put together some AWS Security Best Practices for AWS Lambda. Serverless gives us the ability to develop applications that are more secure and more resilient if designed properly. 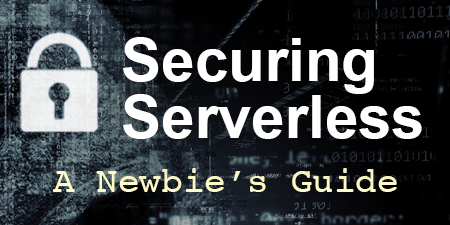 Also check out my Securing Serverless: A Newbie’s Guide for an overview of serverless security in general. “The simplest solution tends to be the correct one.” I’ve talked to a lot of people this past week about serverless adoption, and it wasn’t surprising to hear what the use case was for most early adopters. According to The New Stack, 73% of people using serverless are using it for HTTP REST APIs and web applications. This was echoed by many of the people I spoke with, and also evident from a number of candidates I recently screened that had listed “serverless” as one of their skills. It seems that “migrating an Express.js app to Lambda with a [pick your favorite database] backend” is how most people tend to get started. 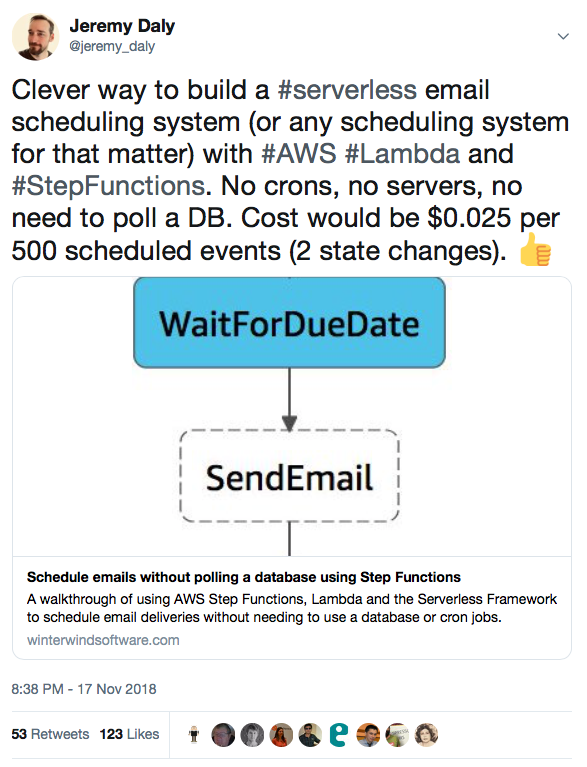 Of course, migrating a monolith to a serverless function might not be the best (or most efficient) use of serverless (read Yan Cui’s: AWS Lambda — should you have few monolithic functions or many single-purposed functions?). However, it is familiar enough to lower the bar for adoption. But once we’ve taken that step, how do we start optimizing our applications? There are a ton of options, and I know that many people (including myself) love GraphQL. AWS even has their AppSync service that can make building GraphQL endpoints much easier, but like everything managed, it comes with a cost. Plus, sometimes our APIs go beyond simple CRUD operations and we need something more expressive, powerful, and familiar. 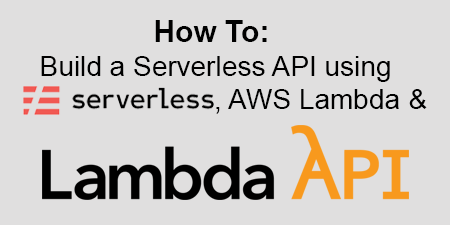 If you’re looking for an alternative, check out the open source Lambda API project. It’s an alternative to Express.js, Koa, Restify and other Node.js web frameworks, and is built specifically for serverless applications. There are a lot of built-in features to get you up and running fast, plus support for things like middleware, logging, and much more. We’re always looking for contributors, so please give it a try and help us make adopting this type of serverless use case even easier. Serverless, Inc. (creators of the fabulous Serverless Framework) are hosting the #NoServerNovember Challenge this month. Every week they will be releasing a series of serverless challenges that will help experienced users level up, and brand new users get started. If you’ve been wanting to try serverless, these challenges will give you something a little more interesting to do than following a “hello world” tutorial. Plus there’s some swag in it for the winners. This week’s star is Soenke Ruempler (@s0enke). Soenke is the co-founder of @superluminario, a cloud and serverless consulting firm in Hamburg, Germany. He’s also an organizer for ServerlessDays Hamburg as well as the Serverless Hamburg Meetup. He recently shared his slides from his talk at code.talks last month. Serverless vs. (Backend) Developers is a really interesting look at the state of serverless adoption and provides some great insights for serverless 🥑s to change the way they are advocating. As much traction as serverless has gained, there is a loooooong way to go. Information Technology is a multi-trillion dollar market and public cloud computing is only a tiny fraction of that. According to Chris Munns, “MOST cloud is still VM. On prem most compute is still bare metal. Containers adoption at scale is still so so so tiny.” So where is serverless in all this? Lots of people are experimenting with containers, but the vast majority of companies and developers are still using traditional architectures (on-prem or cloud-based VMs) to build their applications. It’s very possible that serverless could completely leapfrog containers in terms of adoption if it evolves to support both startup and enterprise use cases. Is the echo chamber that is the serverless community making the case to help expand serverless adoption, or are we simply feeding on our own hype? I’d love to know your thoughts. I hope you enjoyed this issue of Off-by-none. Feedback and suggestions are always appreciated and help to make this newsletter better each week. Please feel free to contact me via Twitter, LinkedIn, Facebook, or email and let me know your thoughts, criticisms, and if you’d like to contribute to Off-by-none.